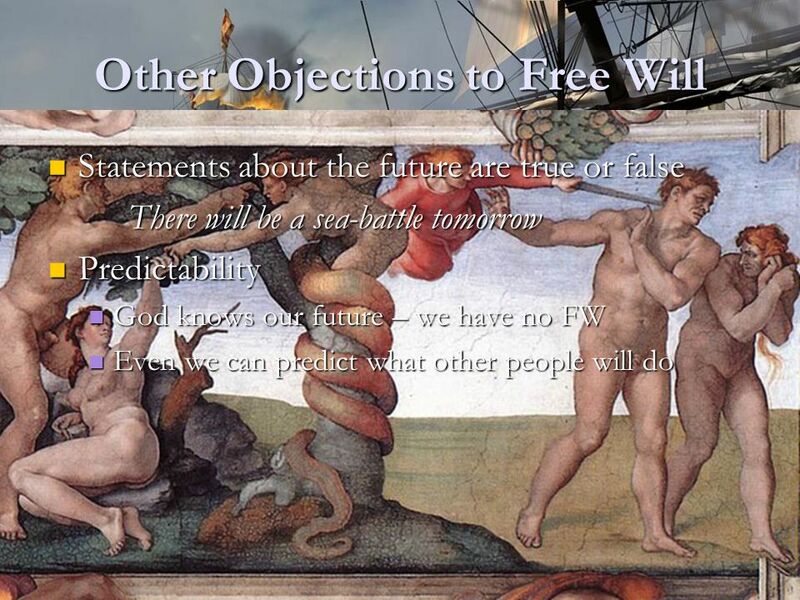 2 What is Free Will? I could have done other than I actually did. Human beings should also be deterministic P1. Our choices are the product of deterministic laws and initial conditions. P2. 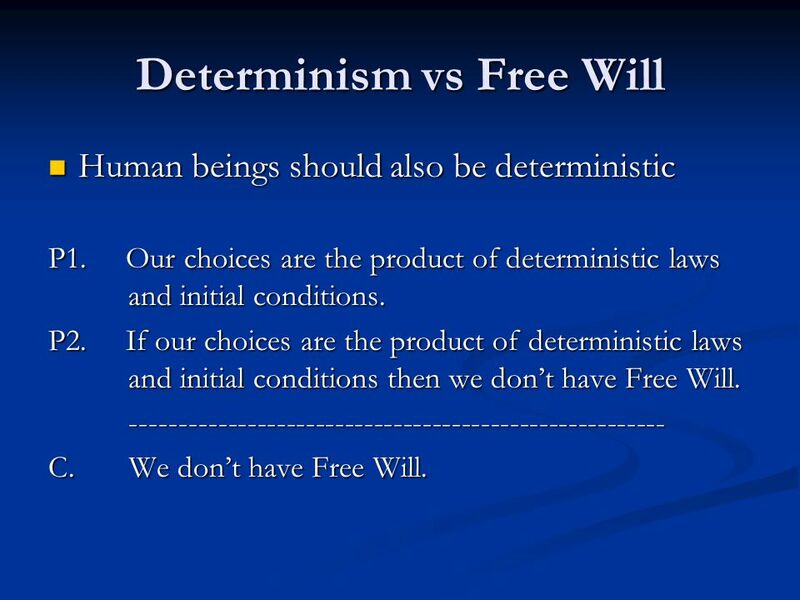 If our choices are the product of deterministic laws and initial conditions then we don’t have Free Will. 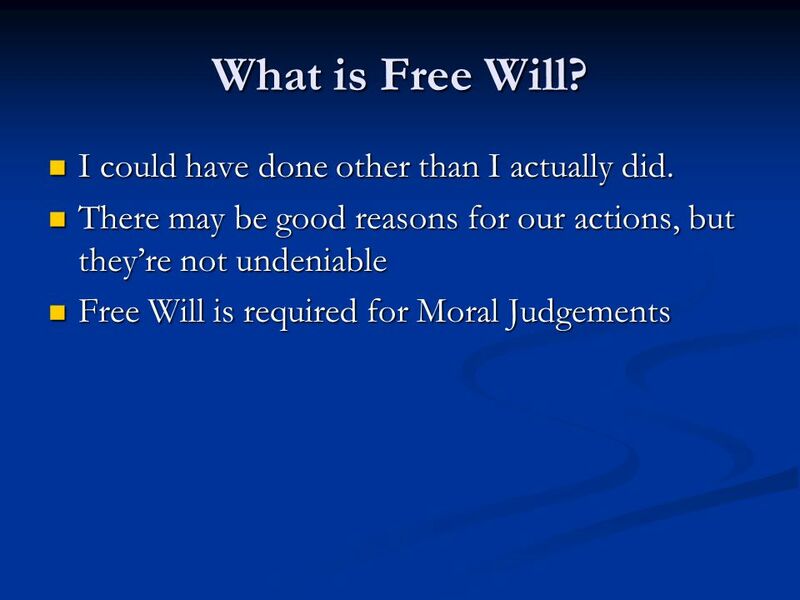 C. We don’t have Free Will. Compatibilism Why think P2 is true? 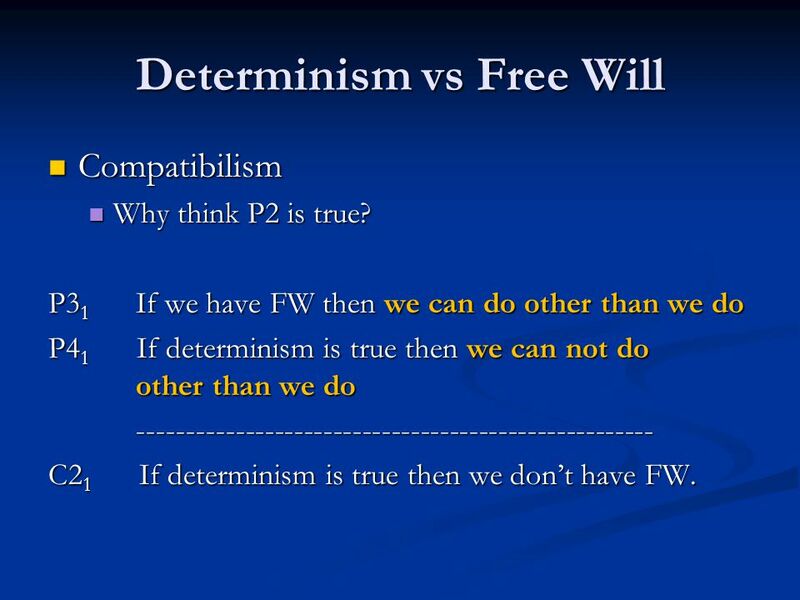 P31	If we have FW then we can do other than we do P41 If determinism is true then we can not do other than we do C21 If determinism is true then we don’t have FW. Compatibilism Why think P2 is true? 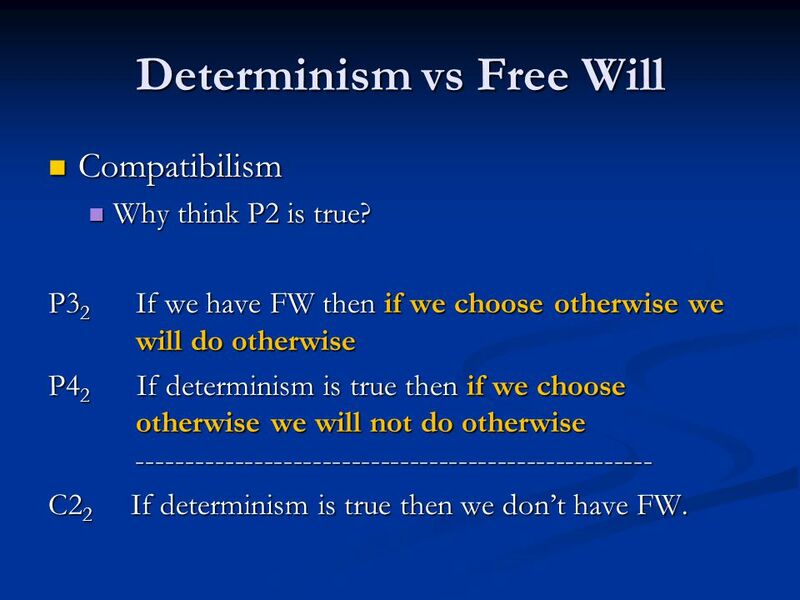 P32	If we have FW then if we choose otherwise we will do otherwise P42 If determinism is true then if we choose otherwise we will not do otherwise C22 If determinism is true then we don’t have FW. Compatibilism Why think P2 is true? 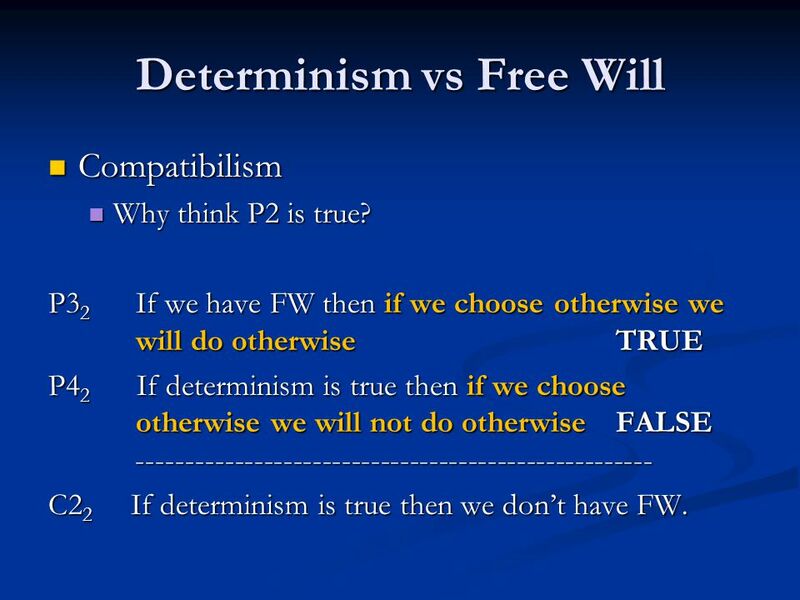 P32	If we have FW then if we choose otherwise we will do otherwise TRUE P42 If determinism is true then if we choose otherwise we will not do otherwise FALSE C22 If determinism is true then we don’t have FW. Identify if the statement that follow is True or False. Click your choice and see if you got the correct answer. Enjoy! The "if structure" is used to execute statement(s) only if the given condition is satisfied. 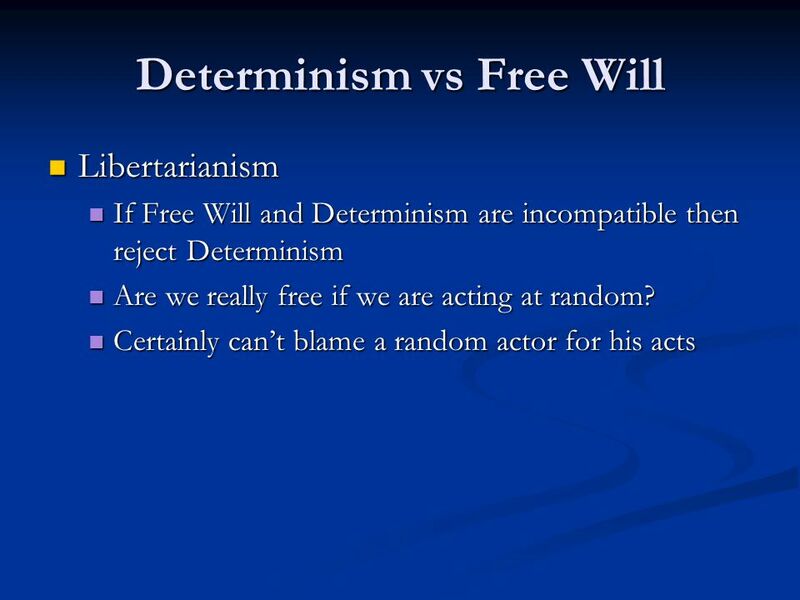 Determinism, Free Will, and Moral Responsibility Traditional threats to free will: Fatalism (every event was meant). Predestination (every event is willed. The Determinist Argument: All our actions are caused by forces over which we have no control. And if we have no control over our actions, we are not free. 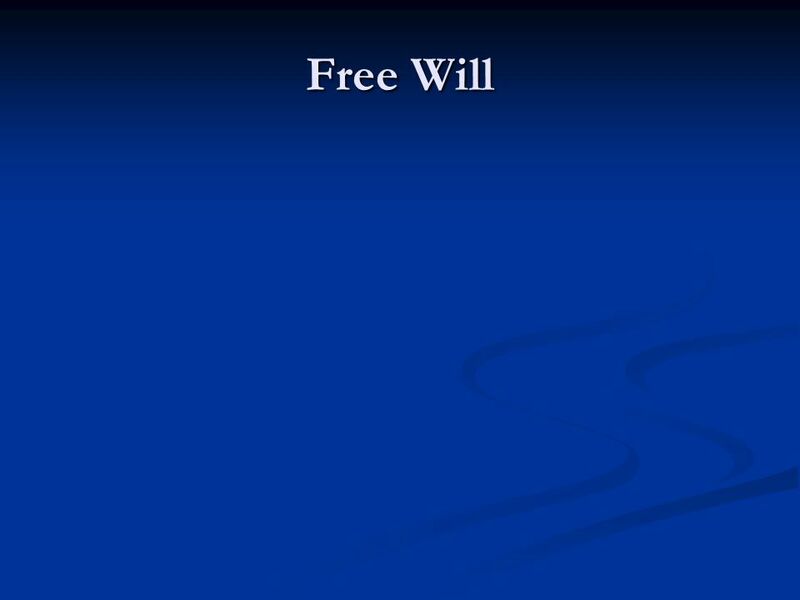 Free will Am I ever really free? 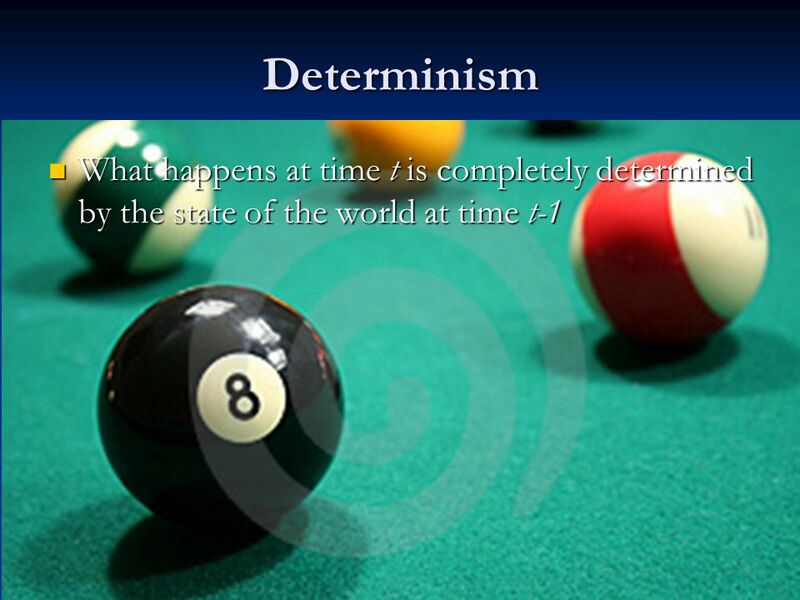 Determinism: the entire state of the world at any given time fixes, determines, necessitates, all the subsequent states. THEODICY: WHY GOD ALLOWS EVIL Robby Lashua DSCC Oasis Feb. 23 rd, 2014. The soft determinist response. 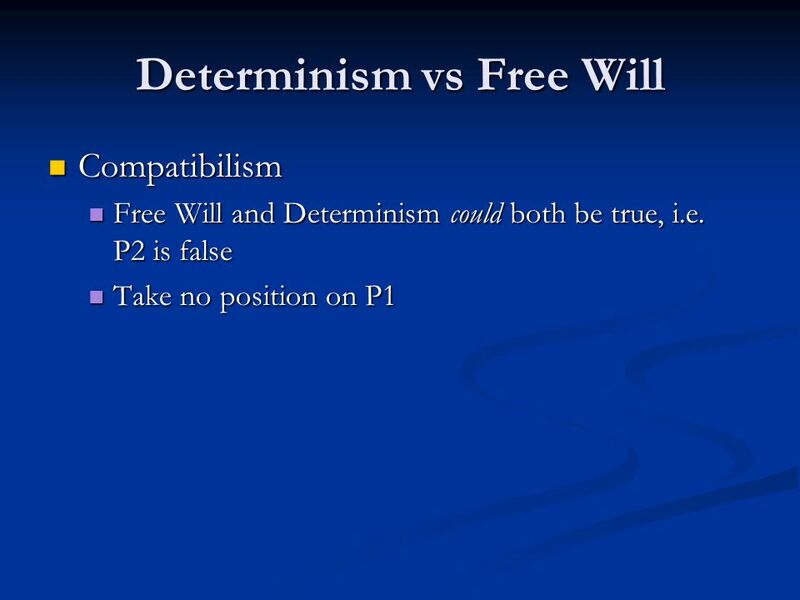 the incompatibility argument 1)Determinism is true. 2)If Determinism is true, then none of our actions are free. 3)None. 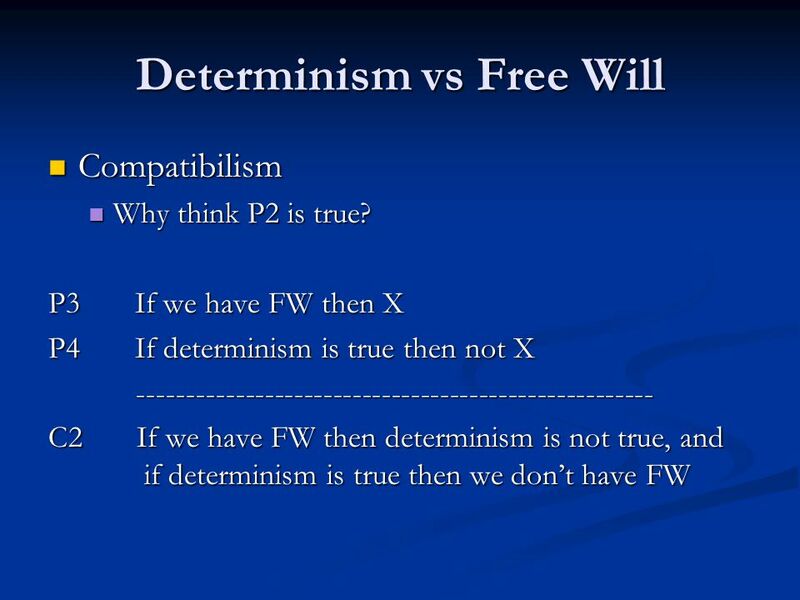 Chapter 3 Free Will and Determinism 1 Causal Determinism Causal determinism is the doctrine that every event has a cause that makes it happen. But if. Moral Responsibility Themes in Ethics and Epistemology Shane Ryan 16/10/13. 17. backward induction – ultimatums and bargaining take it or leave it offers. Two players. Split a dollar. (s,1-s) offer to 2. if accepts get (s,1-s). 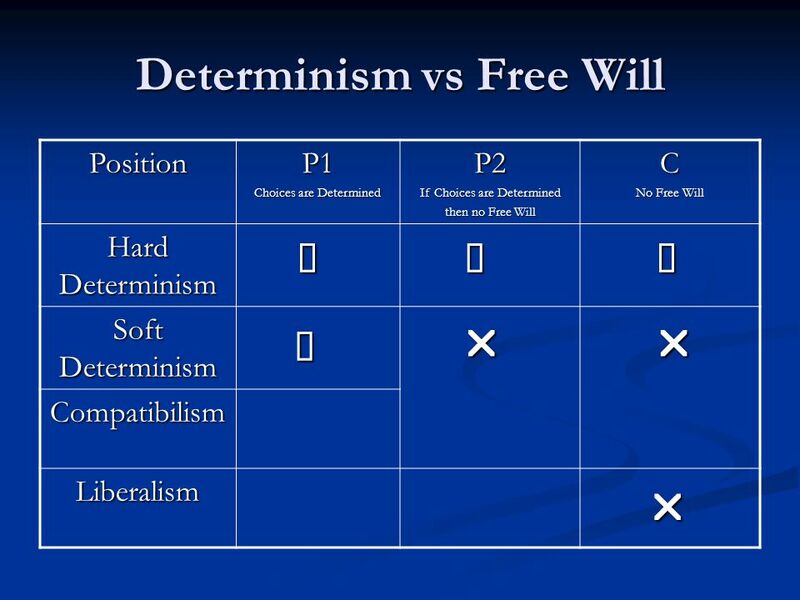 Freedom and Determinism Hard Determinism. Review The Freedom Principle: Some actions are free. The Control Principle: An action is free only if it’s up.